Program Director Application Period is Open! That’s right folks. This is your chance to apply for your dream job. Being the Program Director at BBC is perhaps one of the most fun (and most challenging) jobs out there. Just think – it could be your job to run (or delegate) Wet and Wild Wednesday. It could be your job to run (or delegate) the annual cardboard sled and boat races. I mean, how awesome is that? Not to mention recruiting and training staff, budgeting, performance reviews… oh wait, those perhaps are not the most fun parts. And if you’re not going to apply, would you pray for the process? Pray that God nudges an ideal fit this direction and that we have the wisdom to see that person when they show up. Program Director transition: you will be missed Chick! Why do all good things come to an end? So that new good things can begin! Dan “Chick” Laubach has served as program director since May 2015. He has decided to finish his service at Bethany Birches effective the end of August 2018. He has made important contributions (and will continue to this year… and he evens plans to volunteer beyond this year). While he was program director, summer and winter registrations were opened earlier than ever. I believe that has contributed to the ongoing increase in attendance (in fact, half of programs offered in a calendar year have waiting lists… we’re expecting even more waiting lists this year). Chick has also contributed to a professionalism in the office. He has helped to upgrade policies and procedures and has sharpened some of our marketing and communications plans. I very much appreciate the amount of time he has allowed us for making the transition. He is going to continue managing the program throughout this winter and summer. He will depart at the end of summer 2018. If a replacement is found in time, I would consider him/her starting as soon as May 2018 for maximum transfer of knowledge, ideas, practices etc. However, if an ideal fit is found, we would start them whenever works best for them. The search for a new program director will begin shortly. We have some backend work to do to clarify the type of person we’re looking for and finalize some details. In the mean time, if you or someone you know has interest, please do reach out to me. Call the office, email or even text if you have my number. We give Chick a big round of applause and wish him the very best in his future endeavors. Most importantly, may you be guided by God’s spirit and at peace into the unknown. Thanks for your service and can’t wait to see you back here as a volunteer. Greetings this Thanksgiving holiday! I am thankful for you and for all the ways God prompts people to engage at camp. I am thankful for the ways God can be seen here. One way I’ve seen God this past year is in the ongoing growth at camp. Allow me to give a handful of examples. Our program director, Chick, continues to grow and learn and seems to not weary of the learning process. This is a great model for all of us to push through the challenges that come with the learning process. I am experiencing similar growth. As camp grows I am stretched to get better at strategic and future thinking. 1 Cor. 13 comes to mind, that famous passage about love. Picking up at vs. 8 “Love never fails. But where there are prophecies, they will cease; where there are tongues, they will be stilled; where there is knowledge, it will pass away. 9 For we know in part and we prophesy in part, 10 but when completeness comes, what is in part disappears. 11 When I was a child, I talked like a child, I thought like a child, I reasoned like a child. When I became a man, I put the ways of childhood behind me. 12 For now we see only a reflection as in a mirror; then we shall see face to face. Now I know in part; then I shall know fully, even as I am fully known. 13 And now these three remain: faith, hope and love. But the greatest of these is love.” This is relevant to me right now. I am growing up, yes. I am also increasingly aware of the need for love. Over doing a good job. Over getting it right. Over everything. On the topic of growth, this summer was the most attended in our 53 year history. I chalk this up to the movement of God’s spirit in three people, among others. Jane Glick, school nurse at Rochester who asked the school board to promote the camp among all the students. After getting their permission, we offered BBC’s tiered pricing as well as additional subsidy from Taftsville Chapel. Over 30 new campers attended camp this past summer through her efforts. A second woman named Beth Ann Maier, leader of Camp Agape (CA), made a way to send CA campers too old for the CA program to the BBC sessions that would be age appropriate. That accounted for 30 additional attendees. A third person contributing to the attendance growth this summer is a young camper named Nick. He hosted his birthday party at camp in January. Facebook ignited after we posted a video of the party and 20 registrations were received the three days after the posting of that video. It’s partners and champions like this that fill camp with people. I believe each of these three are responding to inner promptings they experience from God. To be clear, I am not trying to promote a type of prosperity gospel, but rather an image of a God who longs for our presence and desires each of us to be in tune with Himself. Join me in sitting still for a moment this holiday. Consider meditating on how God might be prompting you. Friends, it’s the holiday season! Here at camp that means hunting, opening of ski resorts, Christmas break, and snow camp preparation. The end of the calendar year for many also means generosity. Unless you’re feeling Scrooge-like. If that’s the case, come to camp soon so we can help melt your heart! 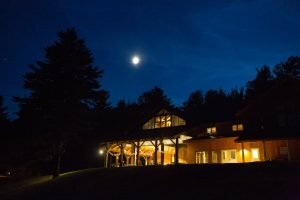 If you are feeling generous and interested in learning more about camp’s needs I wanted to make some known. We are still looking for some funding of the annual budget. Specifically, $50,000 toward kids to camp and general operations (these are bills like insurance, facilities, and stuff we don’t ask campers to pay for). 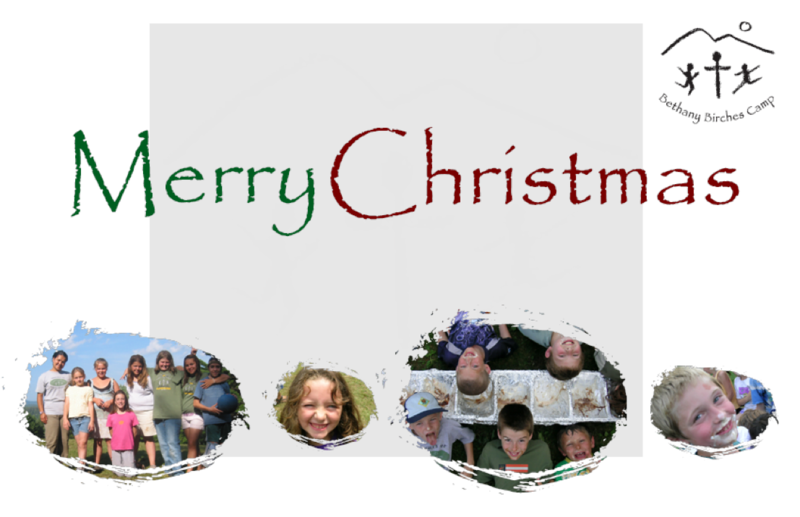 You could give to Kids to Camp through the Christmas program and if you’re a parent you can buy a session of camp through the Christmas program. A chain saw that was in service for a long time has bit the dust. Do you have an extra one or one you don’t use much? Send it over here! Also a canoe trailer! Have one? Know someone who does? We could use one for at least 6 boats (8 would be better). 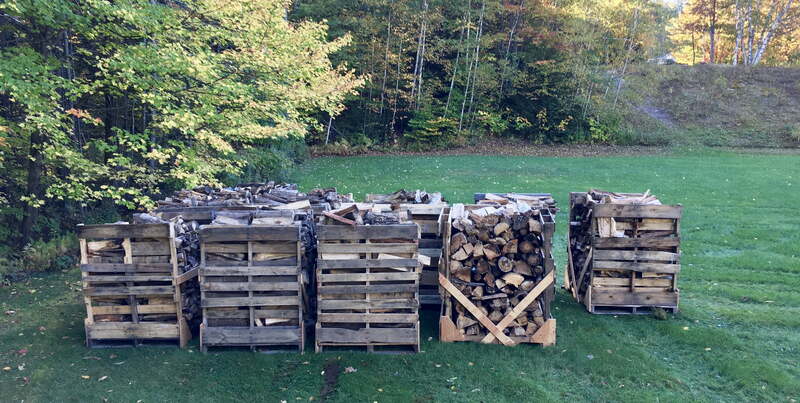 If you haven’t heard about the camp’s path toward net-zero energy use we are currently tackling the heating portion of that through wood burning. The process is under way. In fact, here are some photos. We need to raise about $40,000 more at time of writing to finish this project. You probably know that camp relies heavily on volunteer labor. In fact, there’s a group here right now from Towamencin Mennonite Church. Thanks guys! It looks like we have almost enough volunteers for the upcoming winter camps which is great. We are currently looking for help for summer camp 2018! Maintenance, Kitchen, Shepherds, Nurses: would you consider giving a few days or a week? If you have a family it can make for a meaningful (and cheap) family vacation as food and lodging is included. Learn more here. Since we’re on the topic of summer camp, I should add that we need help finding male counselors. A Bethany Birches counselor is someone who has connected with God in their heart, listens to others, enjoys being outside and can lead the way in having fun! If you know a young man who meets this description please tell them about camp! All the summer job opportunities are here. Feel free to write, text or call any time. Wishing you and yours the very best as this year ends and a new one begins. May you find God in the passing of the years and the newness of each day. This year brought the 15th Annual Benefit Auction. This particular Saturday was abnormally warm. A perfect match for the abnormal generosity at the auction. We started out with Larry’s syrup. Each quart sold for $400! That’s abnormal. 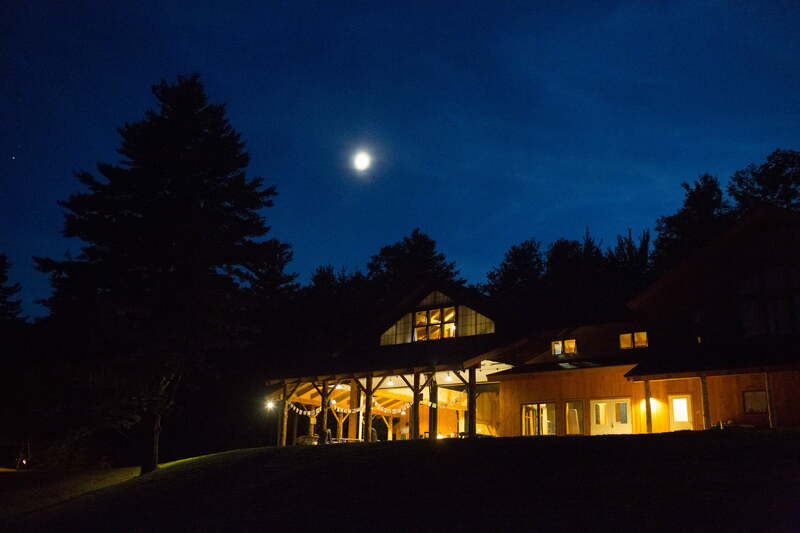 Did you know that in the first 14 years of the auction the event has raised $400,000 to help make the Bethany Birches Camp experience accessible to all? This year’s event continued that trajectory! $51,042 was the total given during the auction this year thanks to many generous donors (both items and dollars) and a friend of camp who matched item #50 (Camperships) with $10,000! You can see the live bidding items and sale amounts here. People coming out to the auction included friends as close as a stone’s throw from camp and more distant attendees from VA and PA and other nearby states. One of my favorite things was seeing a few campers so excited to help that they waved items they were displaying and even danced a bit! Please mark your calendars now to attend the 16th Annual Benefit auction scheduled for September 29, 2018! Thursday evenings this summer have been an opportunity for holy moments. Counselors have gotten to know their campers really well by the 5th night, campers submerse in good vibes from the week and excitement to go home, and for our worship times, this evening is a chance to have an “a ha” moment with the theme and how it relates to their own lives. During our Thursdays the last four weeks, we have looked the story of the woman at the well and her unexpected conversation with Jesus. When Jesus offers her living water, he shows us that he cares for everyone, even the unlikely people (a woman frowned upon by society as well as a Samaritan). As refreshing as the idea of living water sounds, this is an abstract concept of cleansing aspects of ourselves that we can’t pinpoint or see. 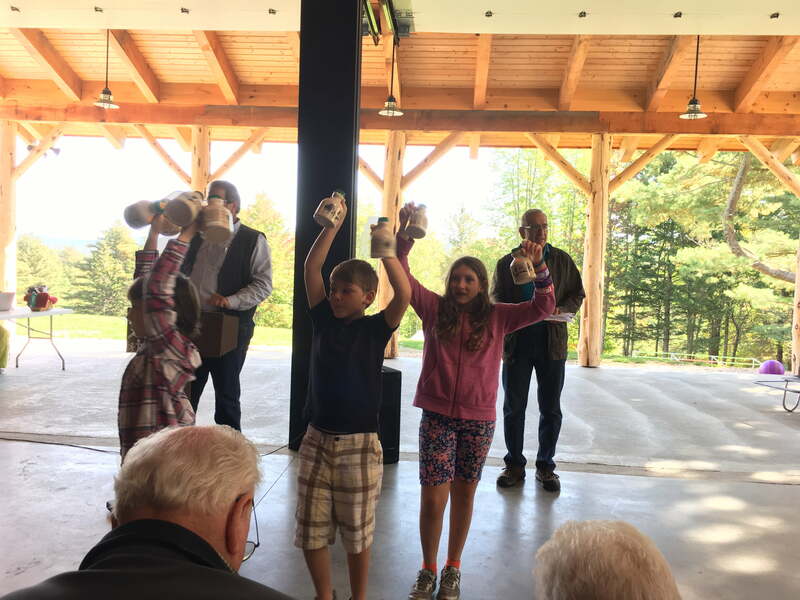 In efforts to visualize the invisible, campers and staff participated in a demonstration to see the implications of receiving Jesus’s living water. Participants had an opportunity to pour something into a communal cup of water to make it cloudy (ketchup, mustard, pepper, etc. ), and share something that personally clouds or weighs down their own spirits. Then as a group we enjoyed the visual of pouring overwhelming amounts of clean water (representing Jesus’ living water), flooding the cup and pushing out all the junk that we put in and that weighs us down, leaving us refreshed and free of burden. Campers consistently reported enjoyment of this activity and deeper appreciation of God’s desire to help us carry and bring relief for our burdens. It’s been a beautiful catalyst moment for the spiritual component of camp. Campers have shared experiencing God at many different points throughout the summer. One of those experiences I was fortunate enough to witness as God worked through our high school campers. After one of our small group times, the girls of this particular cabin had heavy hearts over the things they shared and put in the cup during the demonstration. In an effort to put their minds at rest before going to sleep, the cabin counselor opted to pray for each girl of the cabin out loud and proceeded to highlight the delightful characteristics and joys each girl brought to the cabin. At the end of the counselor’s prayer, I had planned to pray similar things for the counselor leading the prayer. However, I never got the chance because the moment she paused one of the campers jumped at the opportunity to pray and pour encouragement on their counselor, and when she finished another camper took a turn to pray for me! This moment was not only pleasant to be prayed for, but more so to witness campers receiving God’s love through our program all week and a strong desire to return the experience. This also meant our campers felt comfortable enough to pray out loud in front of their peers, unprompted, and live out the example Jesus calls us to in encouraging and building one another up in our faith. Although the work of camp is long and challenging at times, it is certainly not without reward! Summer is under way and we are excited! Summer 2017 is shaping up to be Bethany Birches’ most attended summer in our 53 year history. You can see the current capacity of camp that remains open and which sessions are full on the 427 page. If you see a session you’d like to attend and see that it’s full, it may be worthwhile putting your child on the waitlist (as cancellations do happen). To do that, just sign up like you normally would. To those of you who helped spread the word about Bethany Birches Camp and our rustic, relationship and skills developing, faith-building camp program, thank you! 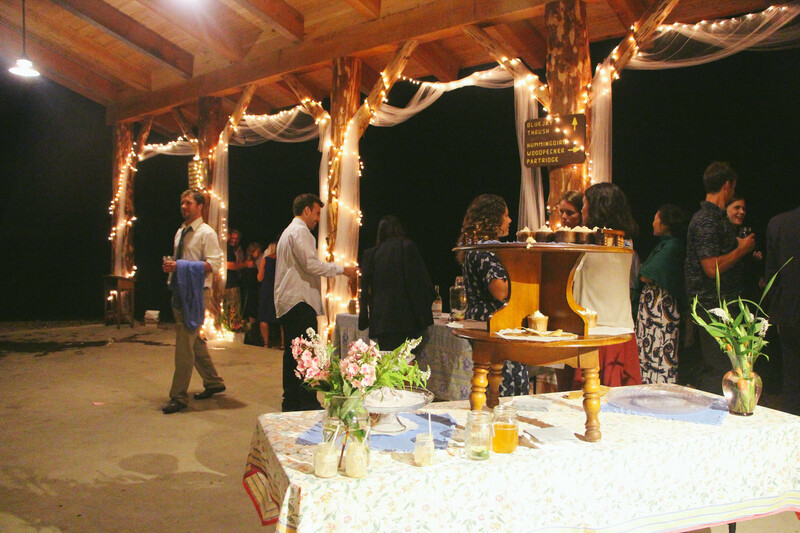 Please continue to share with your friends all that Bethany Birches has to offer: from unique and awesome summer and winter camp programs to weddings and other facility rentals. It takes a village to raise a child and we need all of you to help in that work. If you’re reading this and don’t have children camp age and don’t have use for the facility, consider sponsoring a camper this summer. 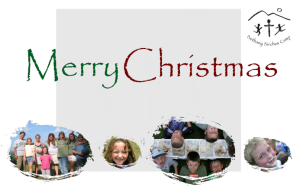 Give to the Kids to Camp fund or join us at the annual benefit auction to make it happen. Pray with me that this summer will be like all the others before it – that God’s presence will be experienced and that each person will be filled with God’s love, mercy, hope and joy. Come see for yourself as a volunteer. For the past few months of my Bethany Birches Camp (BBC) WALK, my footprints have trod 20-25 miles of sidewalks in the City of Lancaster, PA, population 59,000. I chose to walk in an environment different from the countryside, suburbia, and township parks I was familiar with. The walk concentrated on 110 acres of Downtown Lancaster 1/4th mile N-S-E-W outward from City Square, the Center of Downtown Lancaster. The Square provides resources of banking, food service, a 297 room hotel, and perhaps the most known and visited icon, the Lancaster Central Market, tucked into the N.W. corner of The Square. This Square is surrounded by Queen, King, Duke, and Prince Streets, whose names bear the influence of Old English Royalty. This historical market established in 1889 is visited annually by thousands of locals and tourists, even though it is located in a small corner of The Square. The Central Market is the magnetic force which attracts so many people nationally and internationally, to mingle with friends and visitors, and taste the vendors’ best of food fare, including shoofly pies. One day I stopped off at The Central Market on my WALK and visited with patrons seated at a table. In less than an hour’s time, three of us learned that each was a walker; one, along with her friend, had walked 5 miles together to the market, known to them as a common place of meeting, to strengthen their friendship, and the two of them learned about Bethany Birches Camp for Children in Vermont. We wished each other well in our individual WALKING lives. What a nice memory! 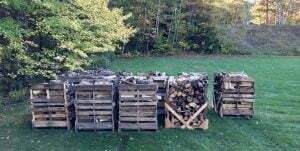 My intentional WALK experience Downtown found me reviewing 50+ years of footprints at Bethany Birches Camp located on 100 acres tucked into a small mountain top beside Lynds Hill Road in Plymouth, Vermont. It was begun in 1965. BBC is by now experiencing an adolescence of growing and developing an exciting camp program which is meeting the needs of a growing number of children, youth, and families, many of whom lack a significant church family life. The establishment of BBC was not influenced by Old English Royalty but by newly immigrated residents, a married couple from Pennsylvania who invested in land. Their hope was to establish a camp which would help youth and children develop a relationship with God. The Camp “square” is the Pavilion (PAVI) which contains the main support services of the camp and from which many activities flow. The PAVI is not surrounded by streets influenced by banking and commercial influences, but by trees, mountains, and open skies. It provides a view of mountain ranges for a distance of 4 to 5 miles (quite unthinkable for market-goers gazing anywhere within 1/4th mile of Lancaster city square). Rainy weather, though not necessarily welcome, is managed well since the open side of the PAVI can be quickly enclosed with solidly constructed curtains and storm doors; so most activities can continue rain or shine. From the PAVI, a road extends into the woodland which leads to five cabins for girls on one side, and five cabins for boys on the other. Each cabin bears the name of a bird, not inspired by Old English Royalty, but by the fact that the “ten birds” are at home in the mountain top. The camp is blessed with resources such as; a caring Christian Director and Administration, trained counselors, pastor, swimming pool, nature trails, Bible and nature classes, and most importantly, the prayers and support of committed board members as well as many financial supporters. 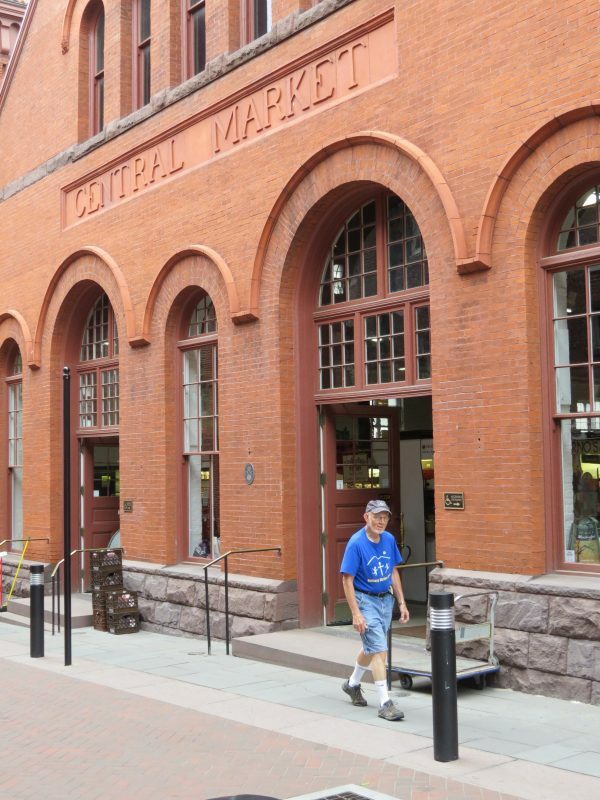 Central Market in Downtown Lancaster, PA, has a 125 year history of providing experiences for people who can satisfy their food tastes, along with meeting new people, and renewing older and lasting friendships. They return year after year to experience more of the same. 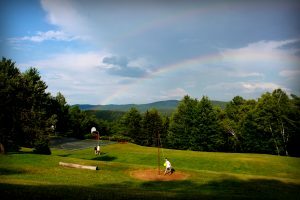 BBC in Plymouth, VT., has a 52 year history of providing an experience for children and youth to have safe and secure camping activities with new and former friends, and to become acquainted with God who loves them. And yes, they return year after year for more of the same. Can you imagine my smile as I tell you my wife Anna Mae and I are planning to spend a week at Bethany Birches Camp this summer?